* Has it been contaminated microbially? Is the packaging clean? * Placing an air lance or mixer is a temporary fix and does not fix the defoamer. * Are there any changes in foam control in the plant or wastewater? * If your using food grade defoamer, immediately take out of service and replace. * The supplier needs to be on site to evaluate several new products at once. * Are these products FDA/Kosher for food processing? Are there any restrictions for use? * Is the supplier on site using a foam cell test kit to determine foam break/control? Make sure they share the info with you. * Ensure the supplier provides the necessary paperwork, i.e., SDS, Kosher, Passover Certificates, etc. * Get a Letter of Guarantee on every product. * Ensure the supplier thoroughly trains plant personnel and management on the new defoamer. 3. What can the Customer and Supplier do better? * Ensure QA/QC protocols are set up at the defoamer manufacturer and at the plant receiving site. * Train receiving personnel and plant operators to identify issues with product quality and foam control performance. * Ensure that product is properly labeled and packaging has not been compromised. * Ensure the product is shipped and stored at ambient temperatures. Frozen products cause serious performance and separation issues. * Communicate immediately to the manufacturer if something is wrong. 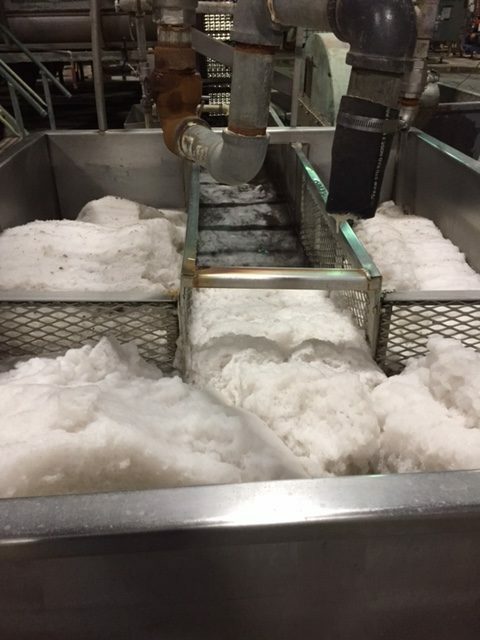 Don’t jeopardize shutting the plant down with compromised defoamer.